There are many problems with consumerism and how it affects our planet, and society. They include mass-farming of animals, and I entirely understand people who turn vegan in response. They include pollution of the oceans, and I understand those that wear only biodegradable clothing as a result (often from animals). And they include poor treatment of people, and I understand those that seek out manufacturers with the best labour practices as well. But for me, the biggest issue with modern consumption is its sheer volume, and the waste created by the companies trying to feed it. If clothing was valued more, and looked after better, then the most problematic aspects of mass farming, mass production and cheap labour would be mitigated. Leather is not a great material in terms of its impact on the environment. But if you have one great jacket - and wear it and repair it for decades - then it’s a lot better than the cheap products that would have gone into landfill in the meantime. The popularity of cashmere has caused huge problems in Mongolia over the past 30 years. But the biggest issue is mass production of cheap cashmere that has made it an everyday material. The biggest problem with fashion brands – again, for me – is not the fact they are expensive or spend too much money on catwalks. It’s the fact they produce so much clothing that is expected to be consumed in a single season, and thrown away if it is not. Continuous stock of products from season to season (like the Anderson & Sheppard Haberdashery does, for example) is a much more responsible way to sell clothing. And so is made-to-measure – something brands like Stoffa and Saman Amel emphasise in what they do. A friend was recently telling me about the big emphasis on sustainability at the recent Premier Vision Denim here in London. But the head of sustainability at Levi's said Lot No.1 is by far the most sustainable part of the company - just because it creates less consumption. As consumers, we can help by being patient. By not expecting everything, in every size, to be available all the time. Perhaps by pre-ordering or joining a waiting list (as the PS shop does in a small way, and Private White does in a bigger one). And with made to measure, be aware that there’s a certain efficiency in waiting for something to be made just for you. 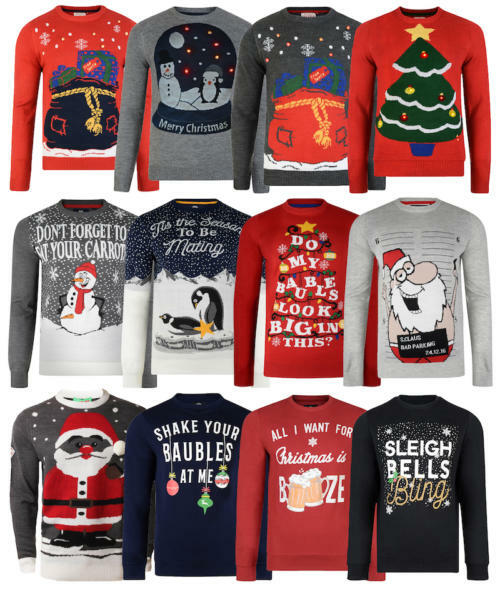 So why do I hate Christmas jumpers? Because they’re disposable. They’re a cheaply made piece of clothing intended to be worn, laughed at and chucked at the back of the closet. They are clothing as novelty. There are much bigger issues out there. Such as people buying stacks of cheap T-shirts, or a new glittery top for every party. But Christmas jumpers are such a glaring example. Often staring you in the face with a silly, smiling face poking out of the top. I know I could seem like a bad example. But I would never advocate someone buy as many suits, shoes or sweaters as I do in order to produce Permanent Style every week. And I know that’s not how most readers consume it. They cherry pick, save up for pieces and then look after them. And I try, whenever I can, to give things to friends and family to avoid waste. Plus I wish companies wouldn't send unsolicited products in the post (mainly beard oil, at the moment). Buy quality clothing; look after it well; avoid fashion; and support companies that do the same. And don’t buy that Christmas jumper. You can follow the discussion on I hate Christmas jumpers by entering your email address in the box below. You will then receive an email every time a new comment is added. These will also contain a link to a page where you can stop the alerts, and remove all of your related data from the site. Seconded. Hear Hear is correct. Brilliantly put. Mind you, when pressed for why I have not attended this year’s family gathering in Primark’s latest festive offering I expect that I will still be shot down for undermining the spirit of the season. Bah humbug indeed. I don’t mean any jumper in a Christmas-type pattern of course. Just the kind considered pure novelty. Dale jumpers are fantastic qulaity, and aren’t particularly expensive. The “Christmas Jumper” isn’t the handknit wool Nordic style but a cheap jumper that’s made to look ugly on purpose. 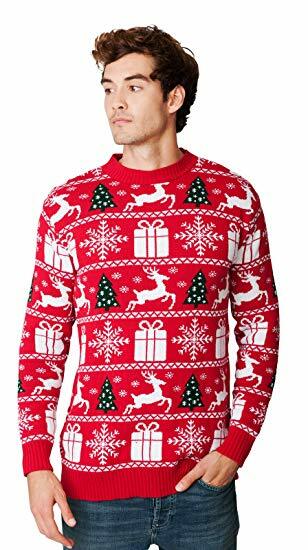 Originally, it was a tongue-in-cheek way of ironically wearing a Christmas-themed sweater that was kind of tacky and no longer fashionable, maybe one that your grandma made you or your kindergarten teacher wore in the 80’s, and you pulled out of a thrift store bin. But now they -make- purposefully ugly Christmas clothing, with jingling bells and tinsel or sexual innuendo. It’s clothing literally made to look ugly and be worn once a year (and probably thrown away after that). Straight-to-landfill type clothing. I hate Ugly Christmas jumpers (Ugly Christmas Sweaters, being an American) extra hard because knitting is one of my favorite hobbies and I think this whole trend really cheapened it and degraded good wool handmade sweaters. I knit for people as a symbol of how much I care about them, that I would put effort into making them something warm/useful/cute/custom, that I thought about them the whole time I was making it. I have had more than one person ask me if I can knit them an ugly christmas sweater, not knowing that it would take me as much time and effort and money (maybe more) than a legit Dale of Norway sweater. It’s pretty insulting that someone would want me to go through all that trouble to make them something they would laugh at and wear once a year as a joke. It might be like asking your tailor to make you a bespoke Halloween /stag party costume? One in which you planned get puking-drunk in and throw away after. If your tailor was your friend. And you wanted it for free. In a month. Sorry to hijack your comment, Sven, I just get really mad about Ugly Christmas Sweaters :/ I’m glad Simon posted about it. Absolutely agree with you, Simon. In the last five years I have build an ultra minimalistic wardrobe that is being repaired and cared of and that would fit in a large suitcase. When it comes to sweaters for example I have only 1 (one) that I could wear outside and another very old one that I only wear at home. My Meccariello test shoes for example already have gigantic crack in the leather but I still wear them (These are test shoes that were not supposed to last for long. We spared them from cutting through). Hi Simon, how would advise someone living in the bread line perhaps with a family to support and cloth to shop sustainable? Presumably you would not expect them to save for several years to buy a made to measure cashmere jumper. I ask because sometimes some context is needed. We can’t view everything through the luxury lense as is done on this site. Interested to hear your thoughts. Thanks, very good question. To an extent, I think it’s out of the remit of what I cover, as I just don’t know enough about the relative value and quality of much cheaper clothing. – A shetland sweater, from Anderson & Sheppard (£195). Mine have lasted years really well. Made in the UK from UK wool. – A pair of jeans from Blackhorse Lane (£155). Great quality, made in London, lifetime guarantee and free repairs. You could literally never wear any other trousers. – Shoes or boots from Crockett & Jones or Carmina (€395). Looked after well, polished and maintained. – A high-street shirt with a collar that flatters you, altered to fit well (from £40) Or Simone Abbarchi made to measure. There’s clearly a whole post in this. You should have added this comment to the post !!! Brillant examples with prices . Those are some impressive prices. I understand the cost per wear might be low on the long term, but not everyone can afford 200£ on a sweater when you’re already so short on money affording 3 meals a day for your whole family is already an issue. To try to give Jimmy another view, you still have opportunities to try and shop “sustainable”, especially if unlike me you’re blessed with a more or less standard size. I’d say raid second hands shops: you can find some incredible things there, even some brand new clothes which still have the original sticker on , at a bargain. And even if it was not “sustainable” at production, it’s still way more “sustainable” for the planet to give a cloth a second life than to simply throwing it away. When buying new, fabrics such as Cashmere are (obviously) out of the equation, but what is usually considered work-wear, like a solid pair of jeans and a heavy cotton shirt will last you longer. In my opinion, in such a case you will have to set priorities, thus it’s less about how and where it’s been produced and more about longevity (and to go back on the Christmas jumpers’ case, usefulness) of the item. I think the main theme of the post is not only about quality and value of a garment, but in that it makes no sence of clothing which is highly limited in use and sees no sunlight in 99% of the year. You can year a normal jumper on Eastern, while a Santa jumper would stay in the closet till next Christmas which is simply a waste of ressources. Hristo. Don’t you feel embarressed if the invitation says black tie and you are the only one showing up in a lounge suit? Army surplus is available readily on eBay, second hand and unused. It is high quality, long lasting, available in all sizes and not manufactured in sweat shops. The choice is so great you can pick up some lovely and very unusual items. There’s certainly no need to look like you’re some kind of weirdo army wannabe. For example, I buy 100% wool , knee length Russian army socks,still in their packets but made years ago. They cost £4 a pair. not at all. Why should I be embarassed in a beautiful bespoke suit just because my lepel facings are not out of silk, because my trousers have no silk stripe, and because my buttons are not covered in fabric? This is simply ridiculous. I am talking about a lounge suit which is in the same colour and style as a black tie outfit. Midnight blue, double breasted, no pocket flaps, trousers that are to be worn with braces only. The difference is really minimal. Actually I feel always as one of the best dressed. As Simon mentioned, the majority of men would wear ill fiting tuxedos with a number of much worse style violations. Low rise on trousers, belts with vests, insanely long trousers, long jacket sleeves, ugly shoes, breast gaps when wearing a buttoned jacket with large armholes… and I should feel embarassed in a bespoke suit for the lack of silk? It may be that a bespoke suit fits better than an ill-fitting dinner jacket (please don’t call it a tux! ), but, as has been said, your host determines the dress code, and not to respect it is simply bad manners. If the invitation calls for black tie, then wearing a lounge suit is not the right thing to do. ‘Black tie’ is a convention with innumerable possible variations. I’m saddened that anyone could consider Hristo’s outfit anything other than perfect manners, in that it covers both the wearing of a black (bow) tie, thus observing the literal wording of the dress code and also going to an effort, which observes its spirit. Black tie is not the pinnacle of smartness, nor did anyone ever dictate that silk or satin were obligatory. Black tie is the dressed down, relaxed and personalised offspring of the much less flexible white tie. Personally, I can’t abide colourful bow ties, dirty shoes or belts and braces both on show. I think that black tie should be monochrome, so that the man’s outfit runs no risk of overshadowing the lady’s. It’s also, IMHO, how men look best. Simon has written some excellent posts on this topic. Sorry, Matt, you are not well informed. Black tie describes a particular and specific form of dress. This covers the nature of the clothes, their construction and style. Lounge suits do not come near to that description, irrespective of how they are dressed up, eg as you say wearing a bow tie. You either know the rules, or you are ignorant of them. Black tie is not the dressed down, relaxed and personalised offspring of the much less flexible white tie. White tie is the much more formal and less flexible version of black tie. Can you imagine HRH POW attending a black tie event in a lounge suit, no matter how well made by A&S etc? I attend at least one black tie event in London a week. If I presented in a lounge suit, I would be shown the door. Thanks Nick. I just don’t think you can be or should be that rigid. Rules are there to understand, know why they exist, and then break intelligently. Which is what Hristo is doing. Our whole ‘Rules and how to break them’ series is based around that. It’s also ironic that most famous well-dressed men became that because they flouted rules, from the Duke of Windsor to Agnelli. I also, more personally, think that having a touch more flexibility would be a better way to communicate the style of good clothing to men today. Don’t force them to have grosgrain on their lapels. Rather, teach them why it’s elegant to cover the waist of trousers with a waistcoat or cummerbund. Call me old fashioned, but we will have to agree to disagree on this. A former chancellor of the Exchequer chose to eschew established dress code by wearing a lounge suit to deliver his Mansion House speech. His action had him branded as both petulant and lacking manners. Rightly so in my view. The Corporation of London has strict definitions of the four accepted forms of dress (Lounge Suit, Black Tie, White Tie and Morning Dress). These definitions are there to be respected, not challenged. If the invite specifies a form of dress, it does so for a reason. No worries Nick, happy to amiably disagree. Good points, but a bit of a digression from the original question, which was how one living paycheck-to-paycheck can afford quality clothing. Obviously the intent of PS is to inform readers on looking his best, but we do need to remember that is not an everyday priority for most people, particularly those with wallets stretched very thin. When you take this into equation, you get brands like Carhartt, Hanes, Timberland, etc. When basic necessities are 90% of your paycheck, I would wager those goods are being worn into the ground over years before being replaced. Simon, would be interesting to see in terms of only sheer sturdiness and longevity, how a pair of Blackhorse Lane trousers would compare to a pair of Carhartts, as an example. I think they’d compare very well Pat, given how well such denim has lasted decades in vintage, and was of course workwear to start with. But you’re right, the other things probably wouldn’t last as well. Income level beyond subsistence is a little bit of a red herring though. All we’re discussing here is buying the best you can afford and looking after it well, whatever you’re income. Unfortunately most people don’t do that today, rich and poor. The DW journalist Gerhard Elfers who stated an educational series about men style basics on DW calculated that his pair of Crockett and Jones has costed him (acquiring + 3 times resoling) only 3,50 EUR per Month for 15 years of use and he is still wearing them. This is actually cheaper on the long run than a 50 EUR pair of shoes that will always look ugly and will get wasted in an year and will be unrepairable. The comparisson with Gordon Brown is absolutely inappropriate as Gordon Brown was not wearing a midnight blue double breasted suit with a bow tie. His outfit was not a deviation in small details, but a clear statement that he does not care. Someone who is standing in a bread line probably wouldn’t be wasting money on a cheap acrylic sweater with a naked Santa on it, either. Contemporary Western civilisation is based on the premise of consumerism and debt. And yet we pontificate to the rest of the world about ecology and and sound economics. If we all brought just one well made jumper or shirt a year the world economy would collapse. On the flip side there does seem to be a genuine tendency to move towards buying ethically and well made things . However , this has also resulted in ‘pseudo’ quality clothing e.g. just look at the blatant profiteering from MTM masquerading as bespoke. You mention Private White , a brand that I appreciate , who also have a very open pricing model but even there prices at times can seem extravagant. Sadly, it seems ethical , quality clothing exists largely for the better off. Bah humbug to you , sir ! P.S. hasn’t the fairly recent Christmas jumper craze been promoted , ironically , by charities ? Thanks Robin. I do wish that as an economy we weren’t so obsessed with growth/GDP as the metric for success. There are parallels in fashion too, with so many start-ups driven by private equity money just interested in three-year return. Robin Attfiled, professor of environmental ethics at Cardiff University, cites the constant drive for economic growth as the prime driver of the adverse anthropogenic impact on the global environment. And +1 for the the hatred of Christmas jumpers (for a number of reasons) and disposable fashion. My office is having an XMas jumper theme for the office party… you shall see me there in a drakes slipover fair isle! Firstly I think it’s really great that you’re starting a conversation regarding sustainability, and generally broadening the remit of PS – I know some readers are a little upset about it, but I’m not one of them. Sustainability is such a broad ranging subject, with so much opinion and ‘fact’ out there, and not just in terms of clothing. Food (how many miles have our Christmas lunches travelled? ), transport (we could all ride bikes and do away with our cars) and the one you’ve highlighted, clothing. For me, in an ideal world everything I bought would be sourced and made in the UK, like PWVC is for example. However as much as I love the look of their clothing (especially the Parka they’ve just released), it’s just not financially viable for me. For example, their Peacoat is £495, and I picked one up last year in the Sunspel sample sale (albeit not as nice), for £120. Would it have gone in landfill had I not bought it? I don’t know, and that wasn’t the primary reason for me buying it. I’d wanted one for a long time, and there is was. The outfit you’ve highlighted below would cost nearly £800 to put together, you’d be cold in winter, because it doesn’t include a coat. Today I’m wearing an M&S (who have a pretty good record on sustainability and fair wages) cashmere sweater, which is about 8 years old, a Drake’s shirt (made in Somerset), a pair of J-Crew chinos, a pair of Cheaney loafers (made in Northampton), a Burberry jacket and a Drake’s scarf (also made in the UK). With the exception of the jumper and the chinos, everything else was purchased in the sale. Whilst perhaps not helping with the financial sustainability of some of the brands mentioned (which I accept could contribute to a longer term issue), I feel reasonably good about the environmental sustainability of it. However I also accept that not knowing enough about who was paid what for the manufacturing of the elements that aren’t from the UK (assuming that those which were made here were made by people paid a fair wage), that I might be completely delusional! I guess that the point I’m trying to make (perhaps clumsily) is that if you’re patient, as discerning as finance allows you to be and buy everything with a view for the long term, then we can all play a part in sustainability, not just those with top end budgets. In my opinion it’s the throwaway culture which we need to change first and foremost, and in all aspects of our lives, not just clothing. If you wear the same tacky, cheap, synthetic Christmas jumper every year for the next 10 years, then is it really that bad? If you don’t mind, at this point I’d like to make a shameless plug – my sister has written a book which aims to help our kids understand the need for sustainability – https://www.detectivedot.org/collections/our-products/products/the-adventures-of-detective-dot-softcover-book – which was of course, made both sustainably and ethically in the UK. This is a bit smug. You have the money to buy sustainable and stylish clothing. It is easy to berate people who buy from cheaper clothes stores. The fact is that many people – probably most people, can’t afford to buy: “A shetland sweater, from Anderson & Sheppard (£195). I appreciate that your site is for those who can afford top-end clothing and shoes. I don’t appreciate your ‘let them eat cake’ attitude towards those who can’t afford the sort of package that you put together, above. You also leave out the fact of personal preference as well as disposable income. There are no doubt very many people who couldn’t /wouldn’t spend 395 euros on a pair of shoes. In these days of food banks in the UK, it doesn’t feel very comfortable that you are so unrealistic about a large part of the population. I havent berated people who buy from cheaper stores. I’m arguing against waste, not price. The whole post is about never ending excessive and unnecessary consumption. A tacky sweater that someone buys so it can sit in their closet, worn but once year (if that), is just an example of this. And, even then, the problem isn’t really the sweater – it’s that the sweater sits in the midst a vast mountain of other clothing that is only worn a handful of times before being disposed of to make room for the next purchases. In fact, this whole mentality and pattern of behavior pretty much requires disposable income, and the worst offenders are not found amongst the hard off, but among the very well off. I would never be reading this site if it was only a shopping list for rich people. I live in Argentina and the price of a Cifonelli suit (for example) is almost equal to my annual salary (yes, you read that right, annual). So what I get out of this site and a few others is knowledge, knowledge I can use to grow my wardrobe in a way that I think is sustainable as well. I can search carefully through second hand clothes because I know what to look for. Even in my case, I started getting a lot of second hand tailoring for free from people that knows I’m interested in using it for more than the ocassional wedding every two years. I try it, sort it (doesn’t fit/ can be altered to fit/ can be altered but at great cost / can be altered but honestly I’m never gonna wear it), then alter it or pass it on to someone, and I’m able to do so again because of what I learn here. And this way I managed to grow the “more formal” side of my wardrobe from nothing to almost “I can wear a different suit every day of the week”, over the last two and a half years, spending little money and giving a second life to things that would be in the back of some closet forgotten or waiting for the next wedding. So thank you Simon and keep up this work, for me it is incredibly useful despite not being remotely able to afford most of what I see here. As in Dario’s case I am constantly searching for great second hand stuff and knowledge gained from PS is key in this search. My best buy: a sport jacket for £20 described as ”vintage rockabilly” on eBay. What is really was: a Saville Row made Gieves&Hawkes. The ad didn’t say that but a closer look at the pictures and a few key questions told me that this jacket was something special. I even instructed the seller on how to identify the full canvas construction. Let’s be honest, the affordability argument doesn’t pass much muster when applied to fast-fashion brands. There are myriad places to buy good quality, affordable clothes: army surplus, thrift stores, eBay, ranch and farm stores (in the States at least) to name but a few. There are also plenty of blogs out there with great advice on how look good without spending a fortune (although I appreciate not everybody has the time or inclination to devote to doing this). What fast-fashion provides is a quick hit, badly-made knock-off of a catwalk look that people full expect to be disposed of after only a few wears. Nobody needs that, least of all people with limited disposable income. Perhaps two season dressing whenever possible ? I couldn’t agree more! Occasionally when I have some time to kill in a city centre I will take a look inside a Primark and I am horrified by how low their prices are, making their garments disposable. My regular supermarket doesn’t sell clothes, however, when I have visited a large Tesco or Sainsbury, I am taken aback by how modestly priced their casual clothes are. I prefer to buy clothes constructed from 100% natural materials (wool, cotton) except for my running and cycling gear. There is another aspect to reuse and recycle – I have picked up a couple of Savile Row bespoke suits second hand, at bargain basement prices, and had them altered to fit. Agreed. And also agreed that it’s not about price but value, the issue being not the financial value but the value we as a society and as individuals place on our clothes and the resources consumed in their production. Disposable fashion, after all, is found at both ends of the price spectrum. It didn’t stop us as a nation throwing away an estimated £12.5 billion worth of clothes this year alone. And ‘thrown away’ means thrown into refuse and landfill, not recycled or donated to charity. A staggering one in 20 of us apparently throw clothes away rather than deal with the ‘hassle’ of returning them to the retailer for refund. Clearly, therefore, price is not the issue and no-one should feel bad about spending whatever they want on a piece of clothing, just so long as they understand the value of it and care for it accordingly. There are two keys to sustainability that are inextricably linked to style. Firstly, consider when, where and how often you are going to wear that item and how does it fit with your current wardrobe ? If the answer is it would be nice to have but in reality I can’t see me wearing it frequently then don’t buy it. It will be a faux pas you will regret. If it doesn’t fit with your current wardrobe, it’s not your style. Your just having an aberration and should move quickly on. The second question is what will the second life of the product be ? I try to make it so that key items have a second life. I have a 20 year old Loro Piana traveller that I now wear for walking the dogs. I have old Cheaney boots that I wear in the country and I have old Tod’s that I wear on the beach. All of these items have had a former life. The LP traveller has graced just about every airport in the world but it doesn’t pass muster for that anymore but it’s great for walking the dogs. When you have decided that an item passes the first and second life tests. Buy the best you possibly can and look after it. They will serve you well and fabulous, well fitting, well maintained old clothes will always look better than new shiny things. You can grow old together, happily and stylishly whilst looking after the environment and your self respect. Even better if you follow up on some of the thoughts in the comments in future articles. In what sense does price, automatically, make a difference to garments being disposable? Can we assume, from this, that higher priced items make products less disposable? It sounds like it. I would imagine that a lot of people wear Primark clothes for a long time as they may be a) in their price range and b) clothes that they like. It doesn’t follow that lower priced items are necessarily more disposable. They certainly are not disposable if you need /want to keep the clothes you buy – including from Primark. Maybe this isn’t the blog for you if you feel Primark is comparable to bespoke/high-end items? I think Philip is making the point about the consumer’s attitude, already made further up. 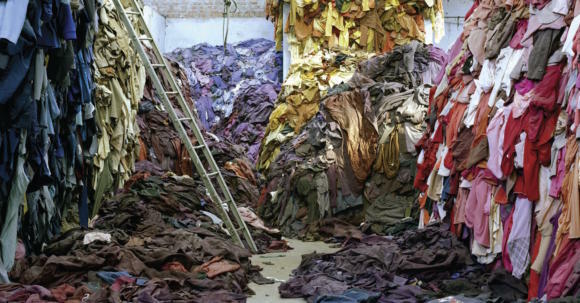 The disposable nature of a garment is not only the result of how it’s been produced (and the resulting price) but also in how the owner consumes, which is often driven by budgetary constraints. I fully subscribe to the lifetime value of a C&J pair of shoes, but for some, the £400 initial investment remains too high. You can think little of the short-term approach, but sometime, when needs must. In my own personal experience, I get as much return on investment (not measured in purely GDP-style metrics, but including pleasure and happiness) on my C&J Sydney loafers as from a 15 year-old monkstrap from Massimo Dutti. I have not had the priviledge to buy any expensive knitwear from Loro Piana or Anderson & Sheppard, but I can honestly say that the Uniqlo knitwear beats hands down any Hackett knitwear I have bought over the years. Because my finances are also stretched, I hardly ever buy full retail price, though, and my Sydney loafers only set me back by £275. So in summary, buy smart, learn from PS about style and values, and you will enjoy looking smarter with whatever you are wearing, which is what PS is about, I believe. Timely article. You can add buy local…..keeping carbon footprints low whilst adding prosperity, skills, depth of offering and employment to your local economy as well as keeping working standards high and transparent. Hristo’s approach, though too Puritanical for me, also has merit. It’s worth noting that because an item is expensive it doesn’t mean that it will be indefinitely retained, nor that it will necessarily last longer. Fine socks, shirts and ‘Super 100’ items can wear quickly. The oldest item I have is a perfect secondhand Gloverall duffel (1970’s). As a young student, building a wardrobe on slim finance, fashion re-cycling shops were a boon. Today, fashion is the world’s second largest polluter, behind the automotive industry. However it is also an industry that keeps millions around the world employed. Aside from the general waste, the more worrying element of non-biodegradable synthetic fibres entering the biological food system is occurring so buying natural fibre is imperative. I have a number of Christmas/winter sweaters but the oldest, cashmere one, is 15 years old and I hope it will see at least another 15. There is also a great pleasure to be had in avoiding disposable clothing. I recently acquired a fantastic almost mint condition vintage US made overcoat in Donegal tweed for less than 1/20th the price the same would cost new. It is such a beautiful and hardwearing cloth I cannot imagine it ever wearing out. My wife buys vintage dresses (she has got collected some amazing pieces over the years at extremely low prices). I search for good quality second hand cloths for my children (e.g. 2nd hand Barbour coats or Gloverall duffel coats) which will be passed on to other children (their younger cousins) when they grow out of them. Like all big expenses in life (e.g. cars and houses) having a bit of capital at the start reduces the amount you spend in the long term. But even without much capital it is possible to build a quality wardrobe over time and there is a great deal of satisfaction of waiting to find a great vintage item that fits well and can be used regularly knowing that it will last and last. It is also fund doing the research about which pieces are likely to be well made. Mixing up vintage with new well made cloths also works really well. Interesting read and some thoughtful comments. It would be great to have series of articles around this topic…fast fashion/ disposable clothing and its associated production and supply chains..and engage some genuine experts in the area. One issue that strikes me immediately is the role of clothing production as an engine for employment and economic development in developing economies versus its environmental impacts. Its fairly easy to be disdainful of fast fashion but actually its a vast industry and i suggest worthy of a great deal of study. Hi Simon, how do brands like Loro Piana or Brunello Cucinelli fit into this story? The items are generally rtw and although well made, often cost more than bespoke. They are not made in ‘industrial quantities’, but are definitely factory produced rather than the localised, small scale craft of bespoke tailoring. My instinct is that if there was more demand for £1,500 Loro Piana baby cashmere jumpers, they would up production to meet that demand indefinitely – doesn’t this mean that despite their fantastic quality, their psyche is closer to Primark’s than artisan bespoke makers? Interesting indeed. What I have noticed recently is how even on better brands the quality of fabrics had dimished drastically. That means whatever the construction quality the longevity is not assured. I recently had to clear out an old family house of its bed linens some of which must have been from the past century. The tightness of the weave and the silky hand on what were either cottons or linens cannot he matched with what I see today. I have a John Smedley polo of my fathers, likely 50 years old, that looks far newer than a similar smedley shirt from five years ago. My pullovers pile within a season. This is all sad. I too have had problems recently with John Smedley jumpers. How can sustainability be achieved and maintained on a larger scale when so called premium brands offer such poor quality products? That is why I like to have my clothes produced locally. Besides supporting local economy, there is a substantial impact in creating of almost zero emissions. I think there is a vast difference if my suit is created by well paid artisan distant few minutes of walk from my office than having my suit delivered in a container loaded on a giant ship and sailing from Asia. I would be careful about assuming that local means low-carbon. There is almost no correlation for dry goods. Rich countries produce things much more carbon intensively than developing countries. Something handmade in Italy or London will be 100 times more carbon intensive than a machine made equivalent in China, Vietnam, etc, even once you include the container shipping. Just curious – you mean because handmade means more hours, and Western workers lead a more carbon-intensive lifestyle? Also, even if your shirt is made locally, the cotton will have been shipped to and fro a few times already, so it’s just the final step that is local. I am glad you bring this up. I feel very strong about this subject. It’s great that u use your influence on a subject like this. Just wondering, are you thinking about this when you buy a new garment that u actually don’t need or when you buy a new cashmere jacket/sweater? For me personally, I don’t eat meat, I don’t drive a car and I never wear cashmere. I buy my stuff vintage online or at vintage army shops. When it’s new it has to be durable. I try to buy just what I need. If I don’t wear it anymore, I sell it online or give it to the shelter. They sell it and use the profit. My wardrobe sure doesn’t look like I made all those choices. Interesting discussion going on here. You seem to have hit a nerve, Simon. In that regard – what about your advertising clients and how you admit them to the site… do you have any sort of sustainability/ethics/or other criteria by which you filter incoming interest? How comfortable do you feel with the current line-up? Very enjoyable read on my return from Disney Paris. I get around 4 wears a year from my Christmas jumper – Disney Paris with the family, Christmas jumper work day, December drinks with the boys and Christmas Day. I picked mine up from Van Hage Garden Centre 8 years ago – dark navy, with smily face Christmas tree. The fit is lovely (seriously). Yesterday’s first wear was worn with 11 year old Church’s pebble-grain penny loafers (x2 factory repairs and a recent repair from Kokos), 11 year old LVC 501 1954 jeans, my one and only brown Anderson & Sheppard cashmere scarf and a vintage navy Barbour Border with detachable hood. I’m not sure what point I’m trying to make as I agree with the article. I guess, I just love Christmas…. I really like this article!! Perhaps sustainability should be a part of all your articles in the future? I think it should be a part of a consideration when people assesss products. Its all common sense considering the state of the world. And those Christmas suits people wear. Such a shame.